In living rooms throughout the country, Chromecast has become a staple thing, thanks to the clever gadget which has got an app support which is rapidly growing. Chromecast is capable of streaming YouTube, Netflix, Spotify, Hulu and many others. In short Google Chromecast is a worthy investment for those who are looking forward to smarten their television without paying a huge amount. But apart from music and video streaming, it also provides a bevy of other important features which can get overlooked easily. Here are some Chromecast tips and tricks to know about. In case you’ve set up Chromecast, move on to the next tip but if you haven’t, here’s some help for you. You need a TV with an HDMI input, a free USB port, Wi-Fi accessibility and a computer, tablet or a smartphone which has Chrome browser or the Chromecast app installed. You just have to plug in the device in the HDMI port of the TV and visit the Chromecast page to download the required app. Once you’re there, Chromecast will guide you through the other processes. Bluetooth can be a great option for streaming audio to new hi-fi systems and other wireless speakers but what would happen to the notifications? With the slew of Android and iOS apps, you could bypass those and still use the phone. Pandora, Spotify and Google Play Music are some of the apps which support Chromecast. But remember that when you connect your Chromecast directly to an HDMI, you can get better sound quality. People who are fans of vertical integration will simply rejoice at the fact that Google has brought Chromecast and Android together thereby allowing users to mirror content from their Android devices and view it on a bigger screen through Chromecast. This service is available on majority of the Android devices like Android OS 4.4.2 or higher. If you want to connect, you just have to connect the device to a similar network as your Chromecast and then tap on the button called ‘Cast Screen’. Therefore, even though you had got your share of Chromecast, you might not have known about the things that you can do with it. 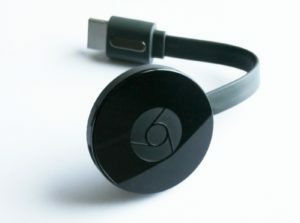 For more information on Google Chromecast, make sure you go through its features online. To know more about latest gadget, refer our gadgets section here.